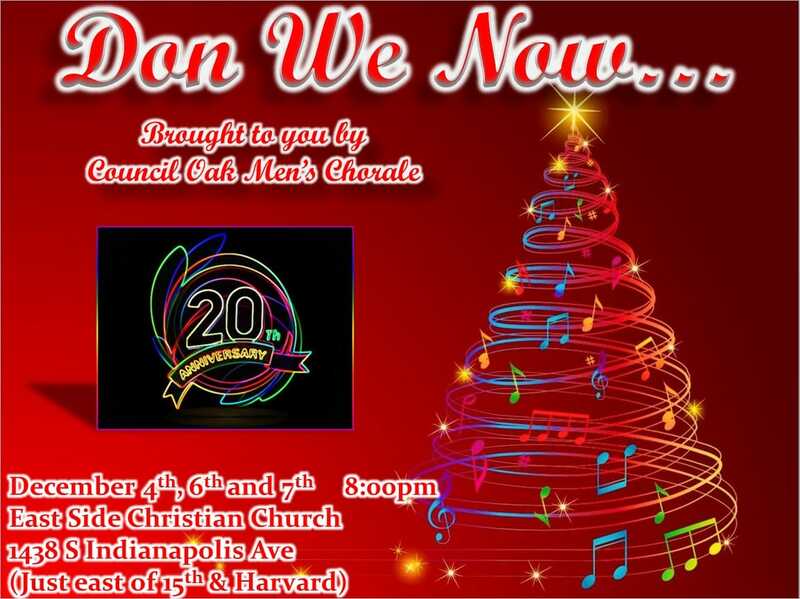 This Holiday concert continues Council Oak Men's Chorale's 20th Anniversary celebration with a musical retrospective of past concerts. Elizabeth Smith Curtis returns as our artistic director for this special anniversary concert. Tickets are available for purchase through our website or at the door of each evening's performance. 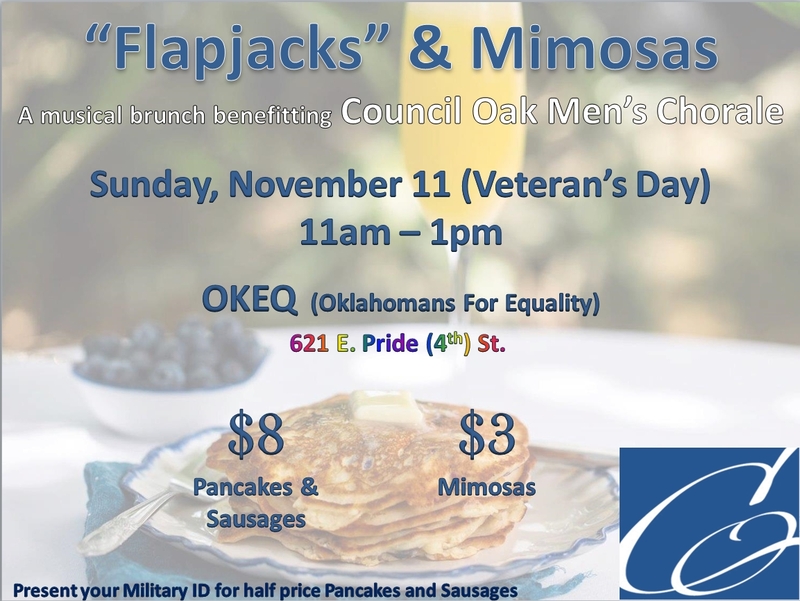 Please look for Council Oak Men's Chorale on Facebook.